Anna University Syllabus Regulation 2013 from 1st semester to 8th Semester . 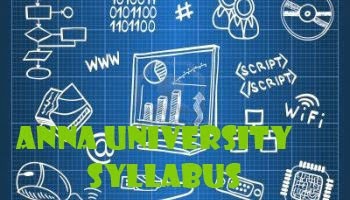 Anna University has announced the revised syllabus 2013 for all departments. Anna University Syllabus 2013 has been announced for the upcoming students. Regulation 2013 syllabus for the students who have joined in the year 2013. Students of Anna University and it affliated colleges can download the Regulation 2013 Syllabus from below link. Anna University have planned to change the Syllabus for the upcoming engineering students. at present the Regulation 2008 2009 2010 Syllabus are used by the students. so Anna University has planned to change the Syllabus this year. If you have any queries related to this post, you can comment below. Enggcollegestud.blogspot.com is FOR THE STUDENTS !!! Hello. I am searching for latest TANCET 2018 Syllabus. Will be really thankful to you if you can tell me about the updations in the syllabus.